The author of the bestselling Tantalize novels talks with SCBWI members about her writing and her new series featuring a werepossum and werecats and a human friend named Aimee. The meeting is open to the public. This month we'll be discussing An Author's Guide to PR & Marketing. Our panelists will be author Ernie Cline, author Jo Whittemore, author Cynthia Leitich Smith, and local PR/marketing guru Jennifer Hill Robenalt. Join us for this conversation up on BookPeople's third floor! Cynthia Leitich Smith reads from Tantalize. ; April Lurie discusses Brothers, Boyfriends & Other Criminal Minds. ; Jennifer Ziegler discusses How Not to Be Popular. Cynthia Leitich Smith lives in Austin with her husband and four cats. Cynthia Leitich Smith's book Hearts Unbroken is currently available from LibraryThing Early Reviewers. Cynthia Leitich Smith's book Dear Teen Me: Authors Write Letters to Their Teen Selves was available from LibraryThing Early Reviewers. Cynthia Leitich Smith's book Girl Meets Boy was available from LibraryThing Early Reviewers. 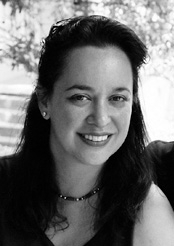 Cynthia Leitich Smith is currently considered a "single author." If one or more works are by a distinct, homonymous authors, go ahead and split the author. Cynthia Leitich Smith is composed of 2 names. You can examine and separate out names.